Women have unfurled their wings and are soaring high up in the sky. They have proved that their indomitable spirit is unbeatable. They have equaled men not only in the field of art (music, writing, and painting) but also in the field of business and technology. Women have proven that their freedom is not limited within the four walls of the house; they are omnipresent. They make their presence worthwhile wherever they go. Knowing that the world is becoming more competitive but the stereotypes being still prevalent, it is the need of the hour to educate our children about the people who burnt the midnight oil and rose from the ashes like a phoenix. 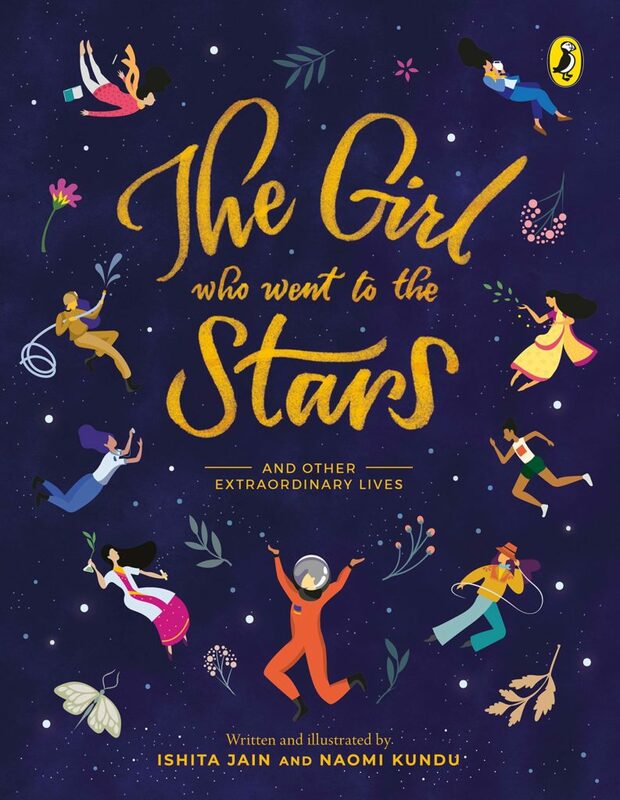 ‘The Girl Who Went to the Stars’ focuses on several women who have contributed to the world in some way or the other. This book narrates the life-story of singers, athletes, writers, artists, businesswomen and scientists. Written with an easy narrative, each story is remarkable in its own sense. This book is a collection of stories that will teach the kids the importance of courage and passion. These stories will instil confidence to break the stereotypes and will encourage the children take a stand for oneself. Overall, the illustrations act as a cherry on the cake. With that said, this book is a good read that will prove that all these successful women were once small kids just like all of us. Kudos to Naomi Kundu for the beautiful illustrations. Thank you for the review! Just wanted to inform you that the book is written and illustrated, both by Ishita Jain and Naomi Kundu together.